It might come as a surprise that REL has never created a subwoofer purely for movies. Music or ‘music and movies’, yes, but not LFE alone. The £500 HT/1003 is REL’s first foray into pure-bred home cinema heroics. Bass is a vital part of the home cinema package. Hefty, heaving, humongous low-frequencies are guaranteed to add scale and impact to a surround sound experience, in a way that crystalline high frequencies or robust dialogue just don't. For some AV enthusiasts, their subwoofer is their favourite toy. Here at HCC we rather liked REL’s Serie S subwoofers, even if it has involved repeatedly telling sub-editors that there isn’t an ‘s’ on the end of Serie. When the company announced a Super High Output overhaul of the S/5 and S/3 models we had questions. Could they be better than the original? Would the price remain competitive? Might REL find that lost ‘s’? The answer to the last is 'no', but I'm happy to reply in the affirmative to the first two. JL Audio straddles both the AV and car audio markets, delivering deep bass thrills to those who seek them. 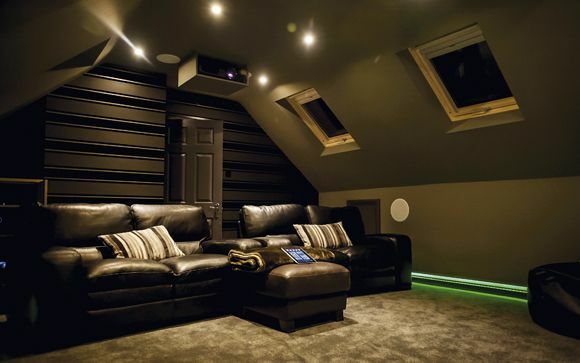 On the home cinema side it is best known for its premium-priced, insanely potent Gotham and Fathom subwoofers. This offering, new to the UK and debuted at the Bristol Show, is the company's idea of an entry-level product, and is called Dominion. When it comes to bass, bigger is generally better. After all, hitting low frequencies at high output requires large drivers able to shift plenty of air, and said drivers obviously need to be mounted in sizeable boxes. In an ideal world, we'd all have 18in woofers the size of a Smart car. The 212SE, the newest venture from sub-bass specialist REL, is a mighty quad-driver woofer capable of making profound, structure-borne seismic lows that will flow through walls and foundations. It probably isn't fit for semi-detached suburbia, unless – like me – you have The Best Neighbours Ever.